If you made too many mashed potatoes, DON’T WORRY!!! 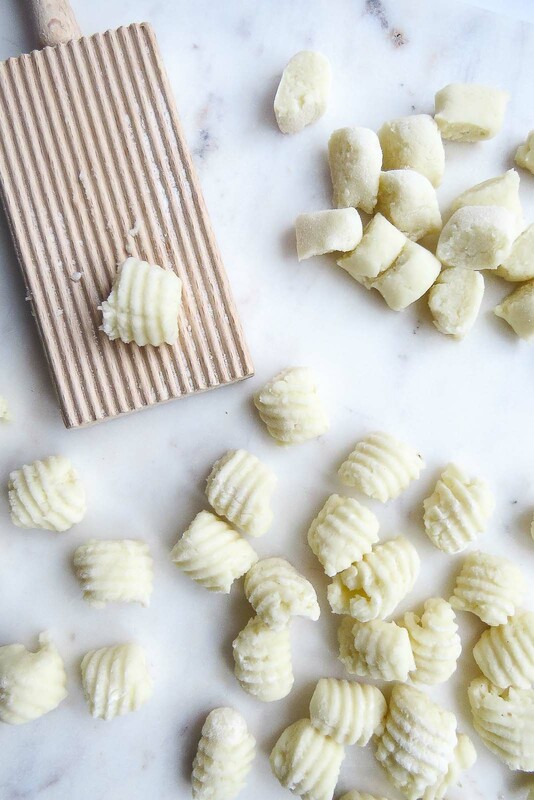 Save those leftovers and make some Leftover Mashed Potato Gnocchi! Great with tomato sauce or a butter herb sauce! The gnocchi is your oyster! There is something you need to know about me: I do not like leftover mashed potatoes but I love mashed potatoes. So I always end up making too many since I think about how much I’d eat and then multiply that by the number of people I’m serving – this is often too much and the leftovers are usually thrown out because it’s a waste to keep them in the fridge if they are going to be thrown out anyways a week later. All that stated, a couple months ago (like last spring I think) my mom with my help decided to cook a “just-because” turkey and all the fixings. Of course, we made too many mashed potatoes (by too many I mean WAY tooooooo many). We both felt really bad at throwing it away and so the words “Maybe I can make something interesting, I do have a food blog” came out of my mouth. So a day or two later, one rainy weekend morning what I thought was a BRILLIANT idea came to me… Leftover mashed potato gnocchi. This started a huge debate. 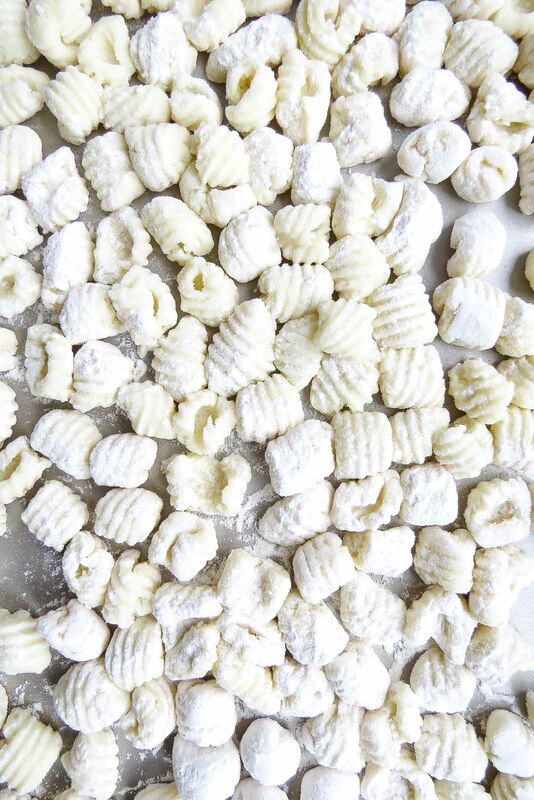 Growing up I used to make fresh gnocchi with my nonna. She would boil the potatoes, make the dough, roll it out and cut it into little pieces so that I could roll them on a fork or a nifty little-bezelled wood board to get the gnocchi shape. Once we were done making them, we’d cook some and have it with tomato sauce and meatballs and freeze the rest. Let me tell you they are DELICIOUS. The thing is, we do something different than typical recipes: we either put an egg or omit it – and I can never remember which it is, and of course it is not written down anywhere! So my mom and I called my nonna, she couldn’t really remember because it has been a while since she has made them. We called some of my mom’s cousins, whom all make their family’s traditional recipes… So we decided to google it. My BRILLIANT idea had been done before. I was heartbroken but decided to make them without following a recipe anyways. My gnocchi were so cute… until I tried to cook them! In the boiling water, they all fell apart! And my family ended up eating mashed potato gnocchi mush with tomato sauce. Still very tasty but it didn’t look super appetizing. Since then, I have learned that everyone makes their mashed potatoes a little differently and because of this everyone’s mashed potato gnocchi recipe will vary a bit. So now, I use Macheesmo’s (Nick is blogger inspiration, doing it since 2008!) 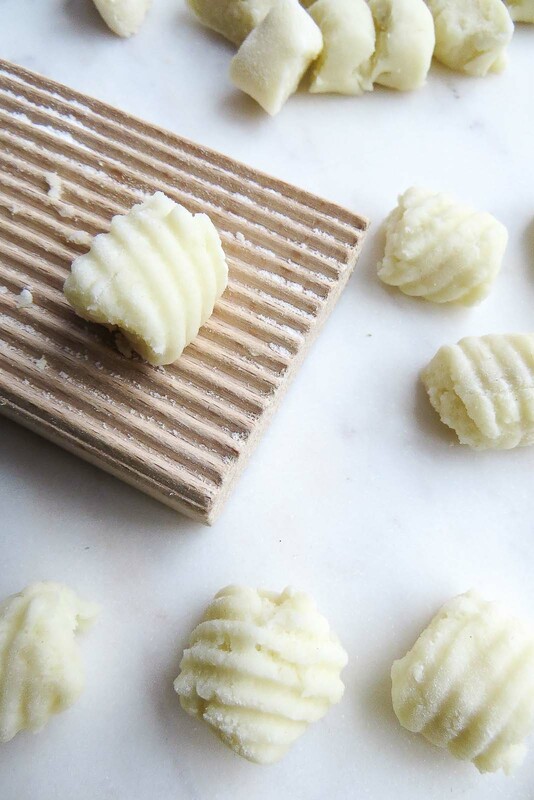 Mashed Potato Gnocchi recipe as a starting point and then go from there! I hope all my American readers have a very Happy Thanksgiving! MACHEESMO’S MASHED POTATO GNOCCHI RECIPE!